Original pasta recipe is a blend of all Italian herbs with loads of cheese in it , as I am not a favorite to cheese , I tried a spicy recipe mixing both Italian herbs and Mexican style which came out very well with the perfect taste . Step 1: Add sufficient amount of water , a little salt and 1 teaspoon of oil to uncooked pasta and bring it boil or cook until pasta becomes smooth and done. Step 3: Slice the bell peppers into long thin pieces , add a table spoon of olive oil to a frying pan and when ready add garlic , when they turn light brown add bell peppers ,chopped onions and fry them for five minutes . Step 4: When onions become translucent add pepper powder a little salt and mix well , again let it fry for a minute or two. Step 5: Now add chopped parsley leaves , basil and oregano leaves and mix well . Step 6:After frying the mixture for a minute add pasta and salsa , toss well and carefully so that pasta wont break up. Finally add the remaining olive oil or just sprinkle oil on the pasta . Add salt and pepper powder if necessary according to your taste. You can add broccoli or french beans according to your taste. You an add bell peppers of all colors for better presentation. When you add salt be careful as you will be adding it three times in total preparation. 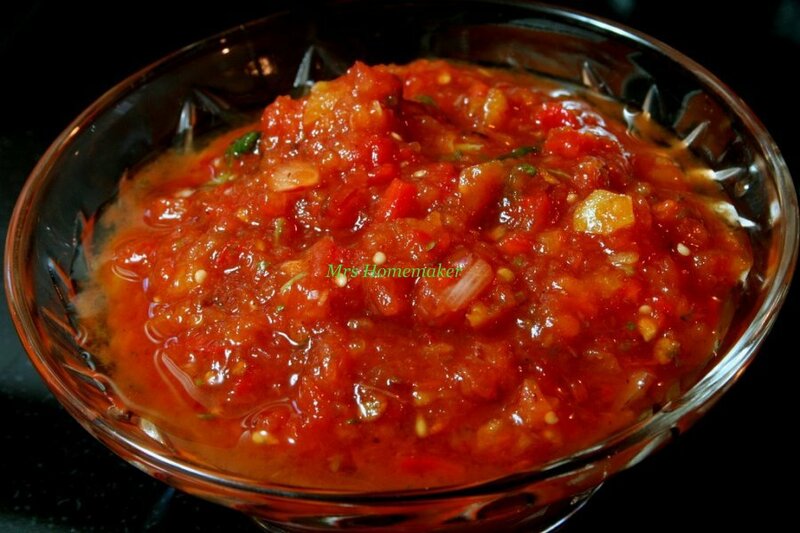 You can prepare the salsa at home as it is a easy preparation , just like pasta sauce .